Rubén M.Cenzano: is urban cycling worth the risk? 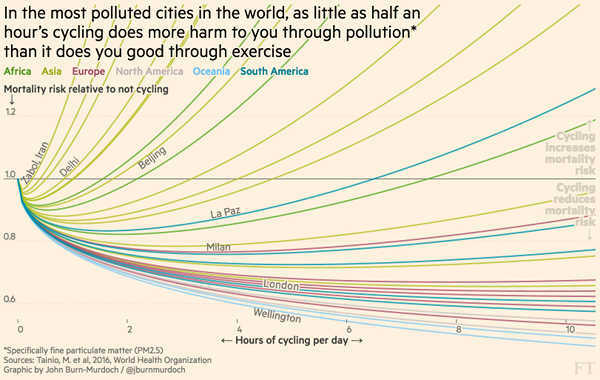 Financial Times brings a not-so-idyllic experience when talking about the use of bicycles on urban environments; the health benefits, the low cost, the speed – versus the fact that you might be hit by an 18-tonne articulated lorry. In 2014, 64% of people surveyed by the UK’s Department of Transport said they believed it was too dangerous for them to cycle on the road. These decisions are often based on gut feelings or anecdote, despite the fact that people in the UK are actually more likely to die walking than cycling, according to figures from the Department for Transport. For every billion miles cycled last year, 30.9 cyclists were killed, while 35.8 pedestrians were killed for every billion miles walked. Both activities are significantly safer than riding a motorbike – 122 motorcyclists are killed for every billion miles driven (the UK’s overall casualty rate for cyclists, a broader measure which counts serious injuries and slight injuries as well as deaths, was around 5,800 per billion miles in 2015, not far off the casualty rate for motorcyclists – and almost three times higher than the 2,100 per billion miles for pedestrians). Researchers from the London School of Medicine looked into this issue in 2011. According to their findings, bicycle commuters inhale more than twice the amount of black carbon particles as pedestrians making a comparable trip. 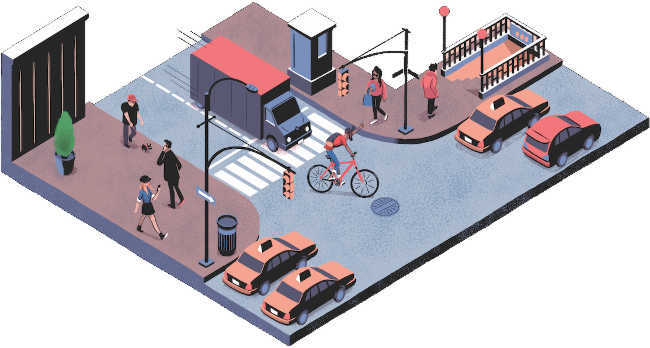 Good news are that at population level, the dangers faced are offset by the many benefits associated with an active commute, which will translate for most people into increased life expectancy overall.